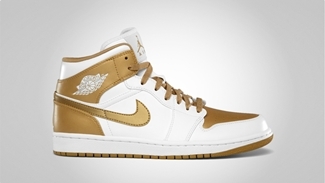 The 2012 London Olympics fever has been clearly felt with Jordan Brand’s shoe lineup for July and this month with the release of Olympic-themed kicks like the new colorway of the Air Jordan 1 Phat that has been recently added for this month. Aside from the “Blackout” edition, the Air Jordan 1 Phat will also be made available in White/Metallic Gold colorway this August. 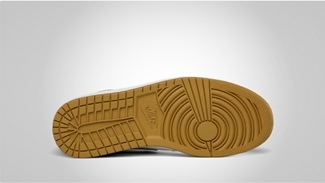 The silhouette features a body mostly covered with white hints with the gold touches appearing on toe box, tongue branding, back panel, and the Nike swoosh. This will drop anytime soon so make sure to set your sights for this kick!